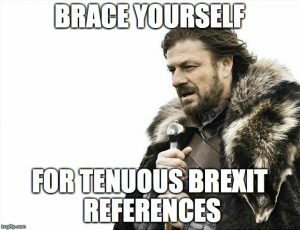 Does a Serverless Brexit mean goodbye to infrastructure management problems? Last week I was able to get myself along to the London CloudCamp event at the Crypt on the Green, for an evening the theme of “We’ve done cloud, what’s next?”. For those of you unfamiliar with the event, CloudCamp is an “unconference” where early adopters of Cloud Computing technologies exchange ideas. As you can probably guess from the theme title, many of the discussions were around the concept of “serverless” computing. So, other than being something which seems to freak out my spell check function, what is “serverless” then? I think Paul Johnston of movivo summed it up well, as “scaling a single function / object in your code instead of an entire app”, which effectively means a microservices architecture. In practical terms, it’s really just another form of PaaS, where you upload your code to a provider (such as AWS Lambda), and they take care of managing all of the underlying infrastructure including compute, load balancing, scaling, etc, on your behalf. The instances then simply act upon events (i.e. they are event driven), which could be anything from an item hitting a queue, to a user requesting a web page, and when not required, they are not running. AWS currently supports a limited subset of languages, specifically Node.js, Java, and Python. 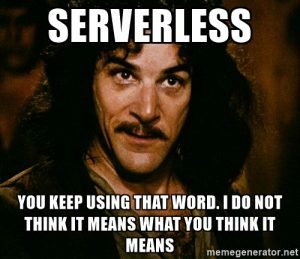 Anyway, the cool thing about serverless is that you can therefore “vote to leave” your managed or IaaS infrastructure (yes, I know, seriously tenuous connection! ), and just concentrate on writing your applications. This is superb for developers who don’t necessarily have the skills or the time to manage an IaaS platform once it has been deployed. You may believe you are now running alone, but you are ultimately still dependent on actual servers! However, you no longer have access to those servers, so basic things like logging and performance monitoring suddenly become a lot trickier. Taking this a step further, testing and troubleshooting becomes more challenging. When a fault occurs, how can you trace exactly where it occurred? This is further exacerbated if you are integrating with other SaaS and PaaS platforms, such as Auth0 (IAM), Firebase (DB), etc. This is already a very common architectural pattern for serverless designs. You therefore need to start introducing centralised logging and error trapping systems which will allow you to see what’s actually going on, which of course sounds a lot like infrastructure management again! It’s still early days for serverless, so things like documentation and support are a lot more scarce. If you plan to be an early serverless adopter, you had better know your technical onions! 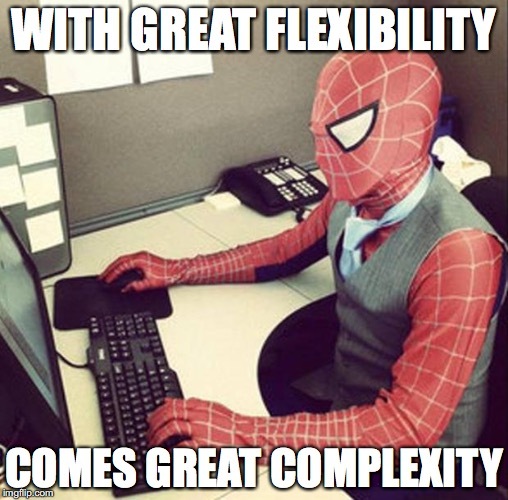 As with any microservices architecture, with great flexibility, comes great complexity! Instead of managing just a handful of interacting services, you could now be managing many hundreds of individual functions. You can understand each piece easily, but looking at the big picture is not so simple! Another level of complexity is in billing of course. Serverless services such as AWS Lambda charge you per 100ms of compute time, and per 1 million requests. If you are paying for a server and some storage, even in a cloud computing model, it’s reasonably easy to understand how much your bill will be at the end of the month. Paying for transactions and processing time however is could potentially provide a few nasty surprises, especially if you come under heavy load or even a DoS attack. 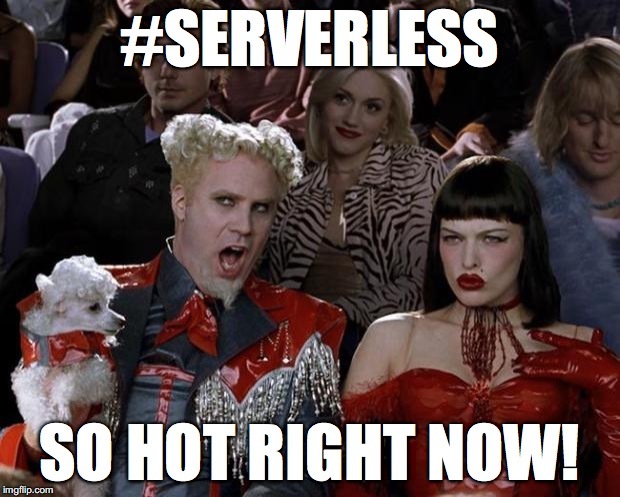 Finally, the biggest and most obvious concern about serverless is vendor lock-in. Indeed this is potentially the ultimate lock-in as once you pick a vendor and write your application specific to their cloud, moving that bad boy is going to mean some major refactoring and re-writes! As long as that vendors pricing is competitive, this shouldn’t matter too much (after all, every single vendor is lock-in to some varying degree), but if that vendor manages to take the lions share of the market they could easily change that pricing and you are almost powerless to react (at least not without significant additional investment). 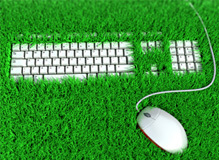 From an environmental perspective, you will probably never find a more efficient or greener computing paradigm. It minimises the number of extraneous operating systems, virtual or physical machines required, as this is truly multi-tenant computing. Every serverless host could undoubtedly be run at 70-90% utilisation, rather than the 10-50% you typically see in most enterprise DCs today! If you could take every workload in the world and switch it to serverless overnight, based on those efficiency levels, how many data centres, how much power and how many thousands of tonnes of metals could you save? Greenpeace should be refactoring their website as we speak! Although you do have to introduce a number of tools to help you track what is actually going on with your environment, you can move away from doing a whole load of the mundane management tasks such as patching, OS management etc, and move up the stack to spend your resources on more productive and creative activities; actually adding business value (Crazy idea! I thought in IT we just liked patching for a living?)! You gain potentially massive scalability for your applications. Instead of scaling entire applications, you just scale the bottleneck functions, which means your application becomes more efficient overall. Definitely time to read The Goal by Goldratt and understand the Theory of Constraints before you go down this route! Finally you can potentially see significant cost savings. If there are no requests, then there is no charge! If you were running some form of event driven application or trigger, instead of paying tens or hundreds of pounds per month for a server, you might only be paying pennies! Equate this to dev/test platforms which might only be needed to run workloads for a few hours a day, or production platforms which only need to process transactions when customers are actually online, it really starts to add up, even more than auto-scaling IaaS platforms. Serverless is a really interesting technology move for the industry which (as always) comes with it’s own unique set of benefits and challenges. I can’t see it ever being the defacto standard for everything (for the same reasons we still use mainframes and physical servers today), however there are plenty of brilliant use cases for it. If devs and startups are comfortable with the vendor lock-in and other risks, why wouldn’t they consider using it?